Photo of: West of Ireland: Clare: Burren: Mullaghmore. An evening photograph of Mullaghmore (or Mullochmore) mountain. 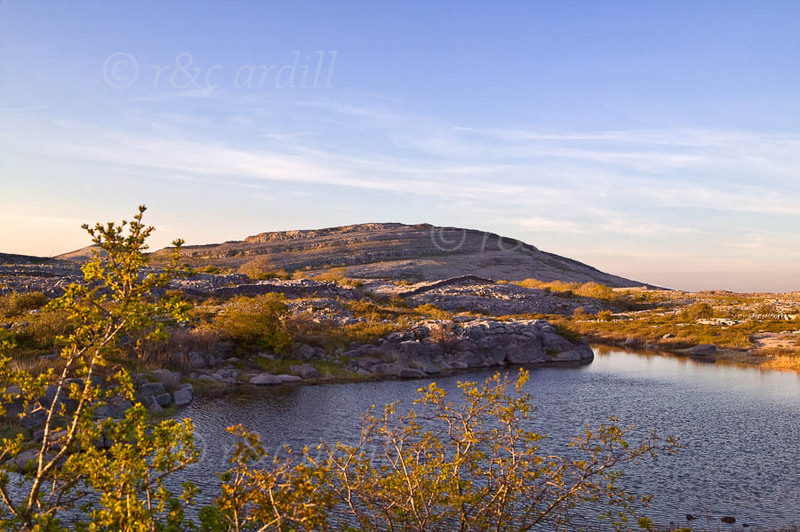 This limestone mountain is one of the beautiful sites of the Burren. Mullaghmore comes from the Gaelic An Mullach Mor, meaning 'The Great Summit'.